Childish Gambino attends Rihanna’s 4th Annual Diamond Ball benefiting The Clara Lionel Foundation on September 13, 2018 in New York City. Just days after Netflix announced we could all revisit 2018's Beychella on April 17 with the arrival of Homecoming, Donald Glover and Amazon made a big announcement of their own. Guava Island, Glover’s highly anticipated film co-starring Rihanna, will not only be premiering after his performance at the festival but immediately streaming on Amazon Prime Video on Saturday at 12:01 A.M. PT. The hourlong film, shot in Cuba and described by the Associated Press as “a tropical thriller about a local musician who wants to throw a festival” was directed by “This Is America” video director Hiro Murai, and Black Panther’s Letitia Wright also stars. 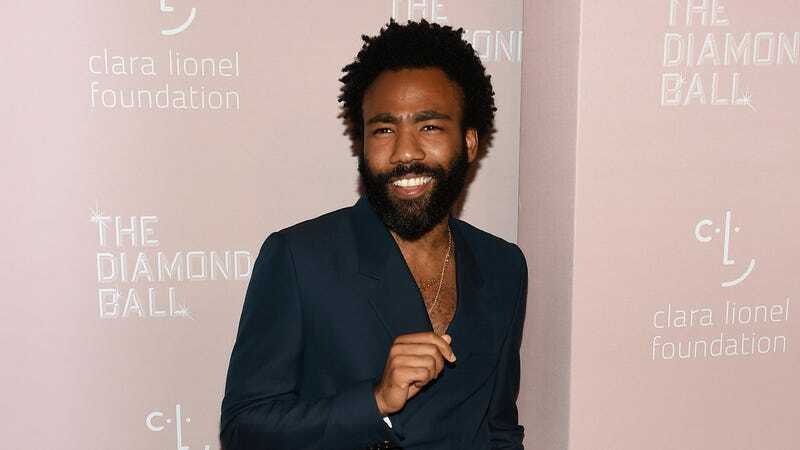 The plot and style of Guava island was reportedly inspired by Purple Rain and City of God. In an exclusive interview with Vanity Fair, head of Amazon Studios Jennifer Salke confirmed she’d purchased the streaming rights to the film after viewing a single view digital sizzle reel that expired 30 minutes after she received it. That said, the message will reportedly only be free temporarily; Vanity Fair also reports that the film will stream on Prime for 18 hours on Saturday. It will also be simulcast on Coachella’s YouTube Channel stream at 5 P.M. P.T. on Saturday, and simultaneously on Amazon’s Twitch platform.